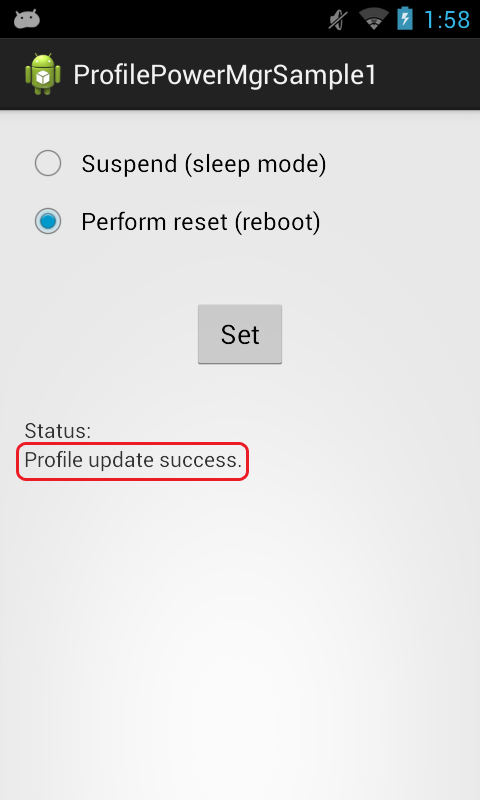 Shows how to set the power state to "Suspend" (sleep mode) or to "Reset" (reboot) the device. 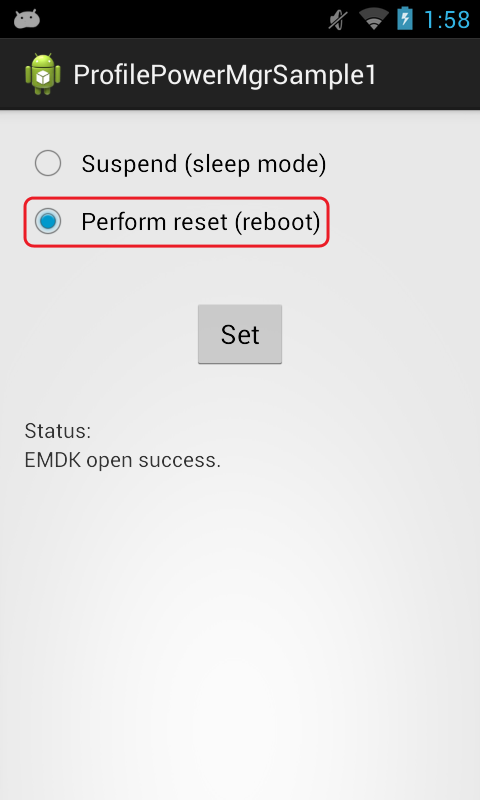 The EMDK for Android allows you to control the power state of a Symbol device. This sample application will allow you to set the power state of "Suspend" (sleep mode) or "Reset" (reboot). Android API 22 (or higher) must be installed via the SDK Manager before attempting to load this sample. Select the power mode you would like to set.